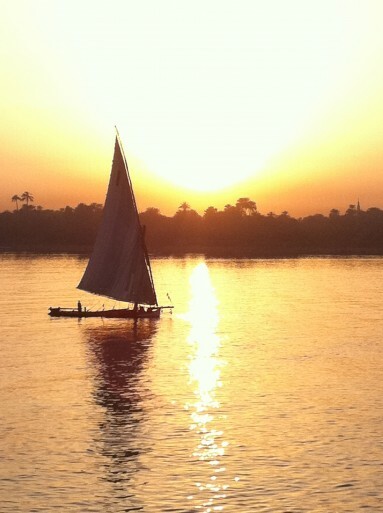 The Nile River is a sparkling ribbon of life snaking through Egypt’s otherwise inhospitable desert. For thousands of years, Egyptians have worshipped the Nile, their lives revolving around the mighty river’s ebbs and flows. Nowadays, with the construction of modern dams, pipes and barriers, the Nile has become a more reliable waterway, and is a favorite cruising destination for those who want to follow in the footsteps of the ancient Pharaohs. 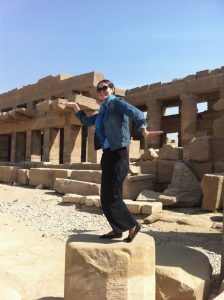 While vacationing in Egypt, my boyfriend Steve and I found ourselves in the dusty city of Luxor. This cacophonous maze of sand blown streets is filled with horse drawn carriages and hawkers touting papyrus scrolls and silver ankhs. But amidst the chaos you’ll find glimpses of a time when Pharaohs ruled, the sun was god and people lived and died by the whims of the mercurial Nile. 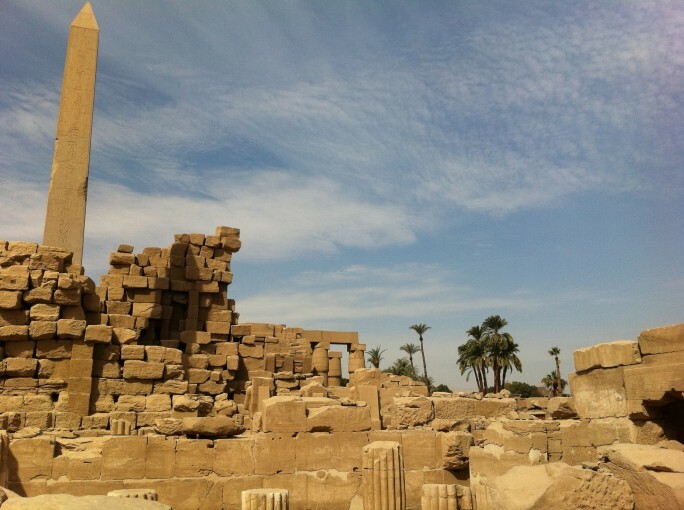 We had spent a week playing Indiana Jones at exotic places like the Valley of the Kings, Karnak and the Temple of Hatshepsut, when we were convinced by a persistent tour guide to indulge in a Nile cruise. I didn’t realize it at the time, but it should have been at the top of my bucket list long ago. 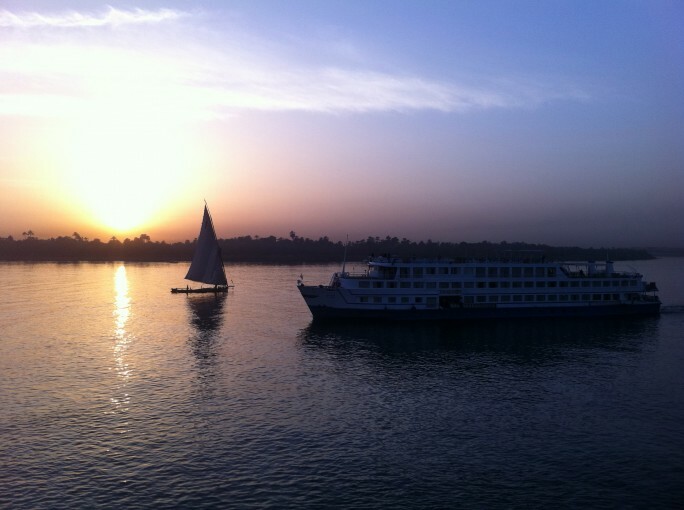 Cruising the Nile is exotic, mysterious and downright luxurious. I spent my days feeling like Cleopatra on her royal barge–reclining on the top deck of the ship with a beverage in hand, as I watched the clumps of reeds and rushes, languid river birds and ancient temples slowly pass me by. I marveled at the verdant banks of the river, where bathing children waved and splashed and herons swooped amidst breeze-rustled palms. 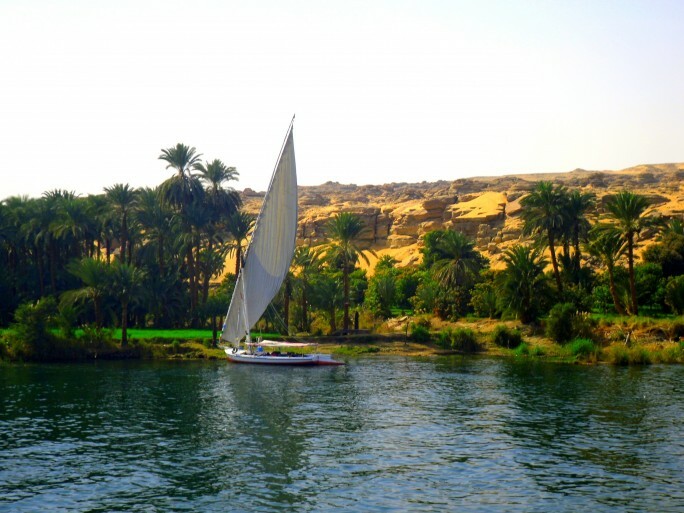 Each time I saw a felucca–traditional Egyptian sailboat–glide silently by, I struggled to remember that it was indeed the 21st century and not 3,000 B.C. 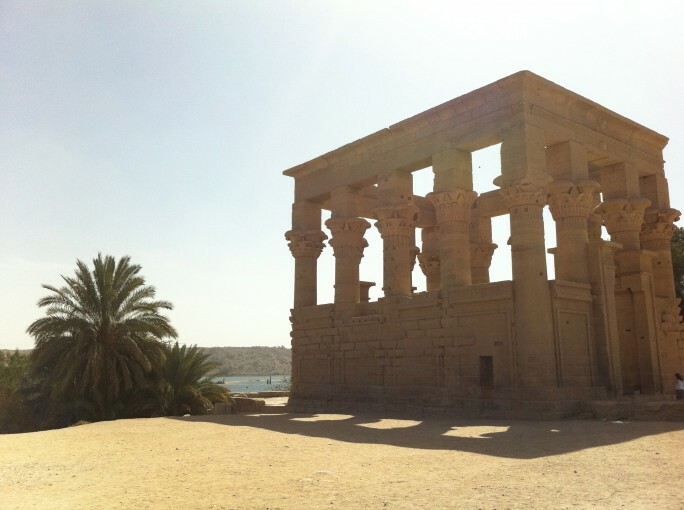 The six-day cruise took us from Luxor south to Aswan and back. Plenty of diversions were available to occupy us on the ship, despite the fact that river cruise boats are much smaller than their ocean going sisters. The onboard massage, swimming pool and afternoon tea are notable, but the highlights of any Nile cruise are the ancient temples and ruins you’ll spot along the way. On the second day, the ship docked at the small town of Edfu where we saw the Temple of Horus. 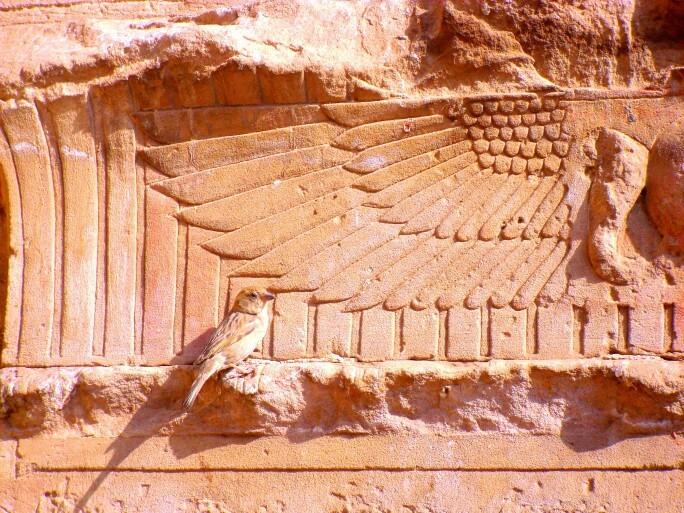 The iconic sky god depicted with the body of a man and the head of a falcon is a menacing sight, but don’t worry. Any fears his formidable face inspires in you will soon be assuaged with a glass of wine back on the ship. 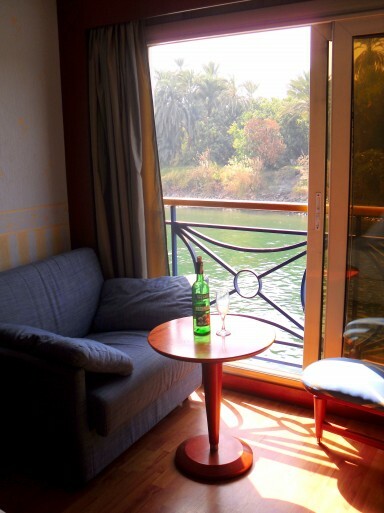 My favorite Nile cruise destination? The Temples of Philae near Aswan. In the lake formed between the old Aswan Dam and the newer High Dam is the island of Philae. As we approached the island by boat, the sun created a golden halo against the crumbling structures. Jutting above the navy blue water is a stunning array of temples, pillars and statues dedicated mainly to Osiris and his sister/wife Isis. The beautiful bas-reliefs and hieroglyphics illuminated the vibrant Egypt of times past, adding to my growing sense of anachronism. affordable and Steve and I came away from our six-day sail for less than $500–well worth it to feel like royalty for a week. Leslie Patrick is a perpetual nomad and freelance writer focusing on travel and culture. Her work has appeared in Marie Claire, Hemispheres, Monocle and Salon. Leslie has lived and worked in North America, South America and Asia, and her adventures span nearly 40 countries. Where in the world is Leslie now? Find out on her travel blog, The Chic Adventurer. It was an amazing trip…Leslie and I had a great time. Of course, I was Marc Antony to her Cleopatra. 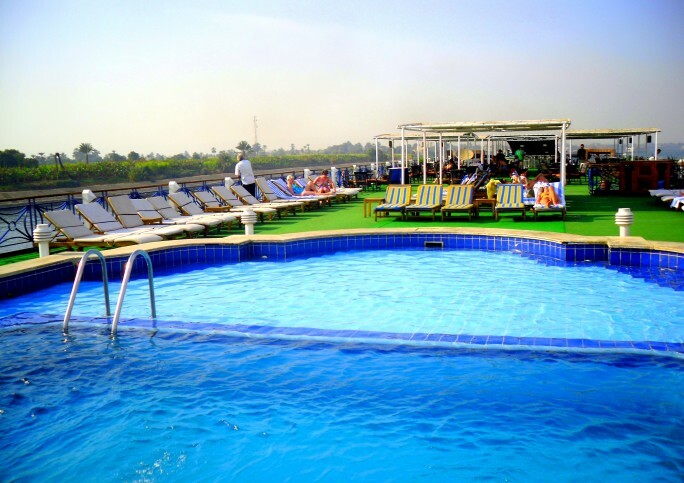 I had no idea the Nile Cruise could be so luxurious! I was thinking maybe you were spending your days in a wooden raft covered in a mosquito net. From the photos, it looks like the opposite! Taking your advice: it’s on m bucket list now. It was certainly amazing! I didn’t expect much either, but I was truly blown away. And I didn’t mention the food on the cruise, but it was excellent!